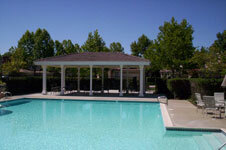 Malpede Construction has completed a wide variety of Commercial projects. Our portfolio shows the diversity of projects - from restaurant build outs, to Bakeries, to community pools, Dr. Offices, even to building stages and wall structures for a visit from President Obama. 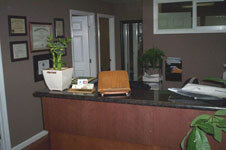 Check out some of our work below.. 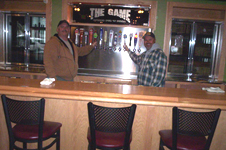 The Game is a restaurant and bar located in Brentwood (downtown on Oak Street). We did a complete build out from beginning to end. Go check it out. Great food, great decor, great atmosphere! They named a pizza after us.... try the Malpede Pizza special. 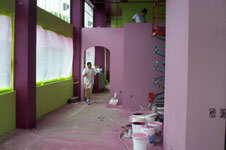 Build out a for a bakery in San Francisco. When President Obama came to speak at the Facebook campus, we were called out to build the stage and wall security for his visit. 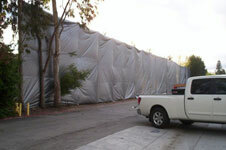 We built temporary walls (30 feet tall - 520 feet long) blocking any view from the outside during his entry. Concrete and Patio Cover build out. Complete office build out - starting with one office building and converting to reception area, chiropractic rooms and offices.